​Christianity Today reports that there are an estimated 384,000 churches in the U.S. Millions of Americans attend the churches of their choice in an effort to have more meaning in their lives. Church trade shows or church conferences offer crucial opportunities for personal growth as well as instruction on best practices for church leaders. Today’s Christian conferences are available for every denomination and for churches of all sizes, including small church conferences. These church conferences provide an opportunity for you to learn from others of your faith about the different teaching methodologies and expense management practices that are in line with your beliefs. How do Christian conferences and church conferences work? Church conferences are scheduled each year and offer an opportunity for church leaders and others to learn and to grow spiritually. When you attend church conferences, you will likely travel to a different city and stay in centers where church conventions can be held such as large hotels. Church conferences have multiple training sessions from which you can choose. You might want to choose a mixture of courses that are focused on spiritual growth and the teachings of your faith as well as practical courses such as good expense management practices for your church. Why attend Christian conferences and church seminars? Christian trade shows can give you the opportunity to learn how other churches are handling things such as advances in technology, expense management, tithing, and donations. For example, some churches are now accepting donations online and at kiosks in their lobbies by debit and credit cards. Others have gotten rid of traditional payment practices such as expense reimbursements and check-writing by using church cards for their payments and purchases. Attending church conferences can help you to learn more about the latest trends and how your church can take steps to make certain that the donations it receives go to those who need them the most. Church conferences can also allow you to grow deeper in your own faith so that you can share it more effectively with others. Below is a list of the best church conferences to go to in 2018 and 2019. They range from online to in person and can be as long as four days or as short as one day. The Devoted Conference 2019 is from February 28th to March 2nd. This conference is for women of all ages and is more affordable the sooner you purchase your tickets. From August 6th to January 31st tickets cost $135 dollars. If you decide to purchase tickets in between February 1st and the 28th tickets will cost $150 dollars. This event is a great opportunity to meet more like minded individuals and get inspired. The Worship Leader Summits is two days of prayer and fellowship. They will have 20 different worship leaders from across the country. This event is from April 29th to May 1st. The 2019 Summit will cost $497 and a non-refundable $80 deposit is required. The cost is all inclusive minus your travel expenses. C3 Creative Church Conference 2019 is a a two day event and has 8 speakers. The event is happening on February 20th to February 21st in Dallas, TX. Tickets come in two forms, live and on demand. The live package costs $99 and includes live steaming access to all events and can even be streamed directly to your Apple TV App. For the on demand package you will have to pay on $25 and this includes the conference on demand via C3’s website. Upon completion of the event you may also download all of the video and audio recordings. The United Voice Worship Conference is geared towards those looking to live a more intentional life of worship. This conference is an opportunity to connect with other worshipers that are outside of your direct community. The event will be from November 2nd to November 4th in 2018. Currently United Voice Worship doesn’t have a signup form, but they have mentioned more information is coming soon. The Global Leadership Summit 2019 is happening from August 8th to August 9th. You can join 450,000 peers and learn how to maximize your leadership. This event aims to give you lots of new perspectives and meet like minded individuals. The event will cost $139 for those that get their tickets early, for those who need to wait until later tickets will cost $209. The Future of Church Summit 2018 is going on from October 24th to October 26th in Loveland, Colorado. This event allows you to meet with other pastors and learn how to shape tomorrow’s church. The cost of this event is $375 per person and has a discount if you attend with 3 or more people, at which point it would cost only $337.50 per person. The 2019 Conference for Pastors and Church Leaders is aimed towards those leading their parishes. The goal of the event is to teach everyone tips on how to become a better leader and pastor as well as network with others leaders and pastors. The event is from May 20th to May 22nd and has a variety of pricing options. If you are an individual it will cost $124, a spouse $104, teams of 3-4 $114, teams of 5-9 $104, and teams of 10+ $94. The Calibrate the Worship Team Event in 2018 has multiple locations and multiple dates. The overarching goal for all of the events is to teach pastors and church staff how to better connect with their parish on a day to day basis. The New England event is on October 15th from 9am-4pm, the Cleveland event is October 17th from 9am-4pm, and the Nashville event is October 18th from 9am-4pm as well. Registration information is yet to be available, but stay tuned and check their website for more information. The Bethel Prophetic Conference is from February 20th to February 22nd 2019. It will have speakers like Daniel, Joseph, and Esther throughout the two days. The goal of this conference is to connect one another and give attendees the power to better serve their parishes. The Amplify Conference’s 2019 tagline is “Preoccupied with love” and goes from June 25th to June 27th. This years theme is based on Habbakuk 2:14 and addresses the urgency to reach all people of this world. Registration opens October 1st and is more affordable the sooner you get your tickets. If you get your tickets between October 1st and November 30th your ticket will cost $99. The worst case scenario for ticket pricing is from June 16th and after which will cost you $249. There are several ways that you can make the most out of church conferences. Read through the materials and choose sessions about topics that are highly interesting to you. Try not to over-schedule yourself. You will want to allow time to socialize with others so that you can have more growth opportunities outside of your sessions. Take some time to visit the booths and the bookstore. The booths might allow you the opportunity to learn about new ministries, and the bookstore is likely to have books available that are marked at deep discounts. Finally, make certain to attend the group sessions so that you can enjoy the experience of hearing thousands of voices singing hymns simultaneously. Churches in the U.S are beginning to use debit cards and credit cards. Both types of cards give churches greater flexibility for making payments and purchases at the time that they are needed. However, debit cards might make more sense for your church. Credit cards may not be the best option for your church. They are linked to lines of credit. Any time that your credit cards are used, it adds to your church’s debt. If the balances are not paid in full each month, your church will also face interest charges. Credit cards cannot be turned off remotely if there is a problem, and it is difficult for you to control what your employees might purchase with them. Credit cards are also frequently targeted by employees for fraud. All of these are good reasons for you to consider debit cards for your church instead. Reimbursements can be a real headache for churches. If your church uses a reimbursement system, you likely allow your church’s employees to buy things for the church out of their own pockets and to submit requests to be reimbursed to the church. Reimbursements are complicated and the incidence of church fraud is on the rise. There is also an expectation that church expenses will be processed quickly. When your church switches to debit cards instead, you can get rid of reimbursements. Your church can instead give each employee a card that he or she can use to pay for church-related expenses or to make purchases. Some church cards such as the Bento for Business Visa debit cards allow you to limit what your church’s employees can buy, how much they can spend, and when they can make purchases with the cards. These features can help you to prevent church fraud from happening in your church. Some debit cards that are designed for churches offer excellent spending controls. While it might be difficult for you to believe, churches are frequently the victims of fraud from trusted employees. According to Brotherhood Mutual, global church fraud is expected to reach $80 billion by 2025. This number does not include the 80 percent of cases that go unreported, however. The Bento for Business Visa debit cards allow you to restrict the types of purchases that the employees can make. The cards can be turned off when the employees are not working and turned on again during their working hours. Your church’s board can also set individual spending limits on each card, and the cards can be turned off remotely if you discover problems or if a card is lost. Where can I get a church debit card? What should I look for? Debit cards for churches are available from several different card issuers. You are able to apply for them online using secure applications. When you are shopping for a debit card for your church, you should look for a card that does not charge interest and that has a low price. You should also look for cards that give you robust spending controls so that your church can manage its expenses better. It is a good idea to read reviews of different cards that are offered so that you have a better idea of the experiences that others have had. The cards from Bento have excellent reviews and have been highly rated by national publications such as Forbes and the Wall Street Journal. 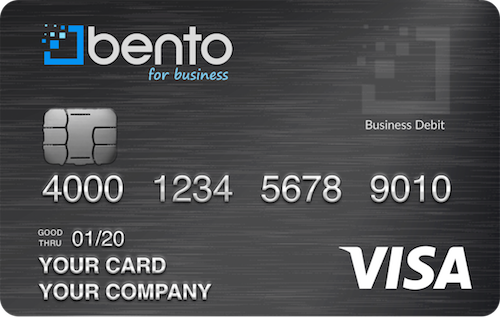 Bento for Business offers some of the best solutions for churches with its debit cards for churches. The cards allow you to control what your employees can buy, when they can use their cards, and how much they can spend. You can see how the cards are used by each employee when you log into your dashboard. If you see any problems, you can turn off a card by tapping a button on your mobile device. Bento offers a free 60-day trial so that your church can see how the cards work before making a decision. 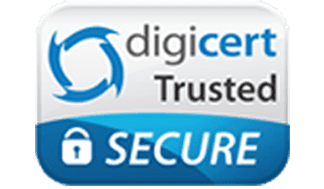 The company uses highly secure SSL-encryption technology, and your church’s deposits are protected. Funds that are held within Bento are FDIC insured to at least $250,000 through The Bancorp Bank; Member FDIC. You can start a free trial now by completing your church’s information. If you have any questions, you can reach us at 866.220.8455.